1. During the past year the Select Board included the following in its priorities for long range planning for the Town Manager: “Supporting the preservation, maintenance and creation of housing that is safe, decent, and affordable for low- and moderate-income individuals and families”. Do you support continuing to make this a Town priority? I support this town priority. Creating and maintaining a diverse housing supply is critical for the social and economic viability of the Amherst community. Past town-commissioned studies have consistently pointed to the need for housing across all income levels and populations - from affordable rental housing, housing to support those coming out of homelessness, and moderate-income housing to encourage young professionals and families to be a part of our community. Adequate and diverse housing options need to exist to encourage businesses to locate to Amherst and to support those that are already here. Young professionals and families will not stay in or locate to Amherst if they cannot find affordable and decent housing options. 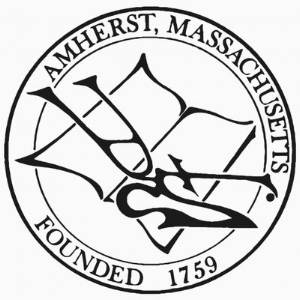 The Town of Amherst commissioned its Housing Production Plan in 2012 that stated the town goal of creating 200 rental units that prioritize families earning incomes at 30% and 50% of the Area Median Income between 2013-2018 (Source: Massachusetts Department of Housing and Community Development, August 28, 2012), and even though we have seen several new developments occur in town during this time frame we have not yet met this goal. Supporting the preservation, maintenance and creation of housing that is safe, decent, and affordable for low- and moderate-income individuals and families must remain a priority for our community. In addition, I would look at innovative solutions such as Private Public partnerships that allow UMass land to be leased out to private developers for student housing. That would free up off-campus housing for other populations. UMass Boston and Northeastern are examples for such partnerships. 3. The Amherst seasonal shelter under the management of Craig’s Doors has frequently experienced threats to its funding in the past few years. As a member of Town Council, what could you do to assure future funding, and what other efforts to assist individuals and families who are homeless or at risk of homelessness do you think the Town should support? that they will be successful in staying in their new homes. I see addressing the limited hours and seasonality of our existing shelter as a key to providing better services to not only those who are currently homeless but those who are at risk of homelessness. Craig’s Doors is only open during the evenings during the winter, but the homeless need support services and shelter all year long — and not just during the evening hours. I am curious why Craig’s Doors is not applying for CDBG funds. This is a complicated issue and I still have a lot to learn about the work being done to serve our homeless, but I am confident that we as a community can succeed in meeting the needs of our most vulnerable.